The City Football Group is set to complete the purchase of Girona FC with an announcement expected in the coming days, Expansión reports. Manchester City and Girona have had a strong working relationship for a couple of years now, and with the newly-promoted La Liga club wanting SEVEN young City players on loan, the mutually beneficial partnership is going up a level. Back in the summer of 2015, agency Media Base Sports, led by Pere Guardiola, brother of Man City boss Pep Guardiola, bought 80 per cent of Girona to alleviate them of their £3million debt problem. Part of this agreement was that when Girona reached La Liga, Spain’s top flight, the City Football Group would acquire the club and add it to their growing network. 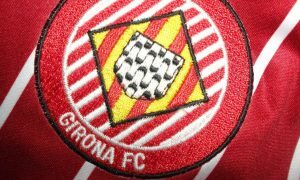 Now the time has come to formalise that and sources close to the situation have informed Expansión that a deal is done for Girona to become the latest member of the City Football Group, which also includes Manchester City (England), New York City FC (USA), Melbourne City (Australia), Yokohama F. Marinos (Japan) and Club Atlético Torque (Uruguay). The man at the centre of all this has been Pere Guardiola, with Media Base Sports owning a majority stake in Girona, while also representing players such as Pablo Maffeo, the City youngster who helped Girona achieve promotion to La Liga – one of several to have been loaned to the Estadi Montilivi. With the ownership change and new status as a La Liga club, Girona’s budget will be increased by five times to €50 million. Manchester City will continue to work closely with them and use the Catalan club to develop young players who are not ready for first-team football, developing them for a future in Manchester or selling them for profit.